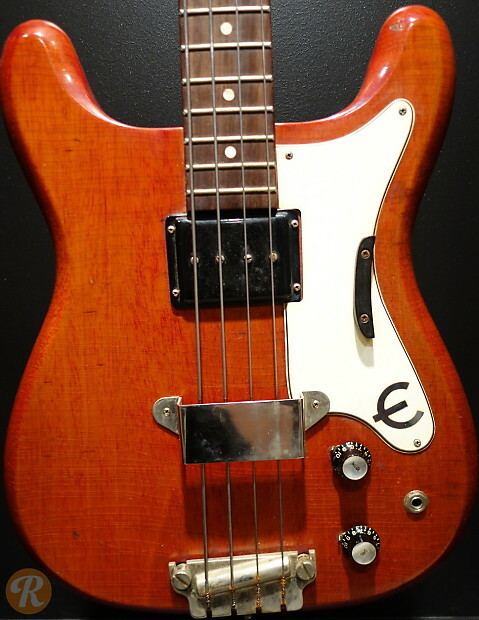 The Epiphone Newport was an offset, double cutaway set-neck solid body electric bass. Cherry finish was standard, though limited custom colors were produced. In 1963 they stopped producing the optional two-pickup version and changed the headstock configuration to four tuners on one side.